Councillor Byrom was appointed to the Authority in June 2010 by Sefton Council where he represents Victoria Ward. 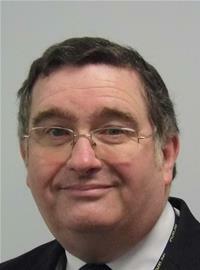 He has responsibility within Sefton Council for answering questions on the discharge of the functions of the Authority. He is the Leader of the Labour Group, and at the AGM in June 2018, was appointed as Chair of the Authority. Councillor Byrom Chair’s meetings of the full Authority, as well as the Appeals and Appointments Committees. In addition, Councillor Byrom represents the Authority on the Local Government Association, the Association of Metropolitan Fire & Rescue Authorities, and the North West Fire and Rescue Advisory Forum.